'It is a truth universally acknowledged that a single man in possession of a good fortune must be in want of a wife.' 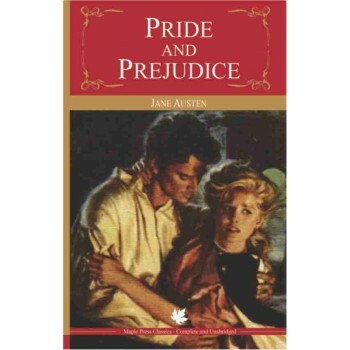 Thus memorably begins Jane Austen's Pride and Prejudice, one of the world's most popular novels.Austen's own 'darling child' tells the story of fiercely independent Elizabeth Bennet, one of Five sisters who must marry rich, as she confounds the arrogant, wealthy Mr. Darcy. What ensures is one of the most delightful and engrossingly readable courtships in literature, written by Austen when she was just twenty-one years old. About the Author: James Augustine Aloysius Joyce was an Irish novelist and poet. He contributed to the modernist avant-garde and is regarded as one of the most influential and important authors of the 20th century. Joyce is best known for Ulysses (1922), a landmark work in which the episodes of Homer's Odyssey are paralleled in an array of contrasting literary styles, perhaps most prominent among these the stream of consciousness technique he utilised. Other well-known works are the short-story collection Dubliners (1914), and the novels A Portrait of the Artist as a Young Man (1916) and Finnegans Wake (1939). His other writings include three books of poetry, a play, occasional journalism and his published letters. She worked with a variety of literary forms, extensively revising three major novels Sense and Sensibility (1811), Pride and Prejudice (1813), Mansfield Park (1814) and Emma (1815).